What bothers you about your smile? Is it a hairline crack, stains, odd spacing, or a combination of several embarrassing flaws? Change them into a dazzling new smile with help from your cosmetic dentist in Park Slope, Dr. Frank J. Sapienza. At Dental Spa of New York, Dr. Sapienza artistically re-creates healthy smiles that just need some aesthetic help. Dr. Frank J. Sapienza, your dentist in Park Slope, enjoys cosmetic dentistry consultations with his patients. Provided free of charge, these visits provide patients time to discuss smile goals and the doctor opportunity to understand their needs and explore what can be done to meet them. It starts with an oral examination in which the dentist inspects for signs of decay, gum disease, tooth alignment and more. He performs a quick oral cancer check, too. He uses a sophisticated intraoral camera to visualize hidden areas of the mouth, looking for decay or early signs of infection. Digital X-rays complete the picture, and in fact, both doctor and patient can view those images together as he explains areas of concern and potential for aesthetic improvement. Dr. Sapienza formulates a patient care plan. This may include one simple treatment, or a combination of several services to be accomplished right away or over time as the patient’s schedule and budget allow. The dentist believes that a wonderful smile is an asset. His belief is backed up by the American Academy of Cosmetic Dentistry which says almost 100 percent of Americans feel a beautiful set of teeth helps them socially. 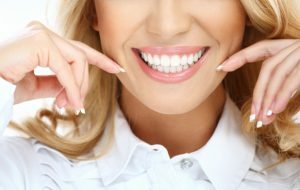 To that end, Dr. Sapienza offers an array of services that brighten and makeover the shape, size, color and configuration of teeth marred by various defects. Here are some examples of the tools he employs at The Dental Spa of New York. Professional teeth whitening is a simple, easy and safe way to brighten stained tooth enamel by up to 8 shades of color. Accomplished either at The Dental Spa of New York or in the privacy of the patient’s home, teeth whitening uses dental grade hydrogen peroxide to lift out stains from smoking, coffee, blueberries, colas, tea, curry and other darkly pigmented foods. Because the process is professionally supervised, healthy teeth treated with whitening gel stay healthy and experience little to no dental sensitivity–a common problem with over the counter systems. Teeth remain white indefinitely with touch-ups, brushing and flossing at home and six-month cleanings and exams with Dr. Sapienza. Porcelain veneers are super-thin shells of fine dental ceramic. Customized to fit over the front of teeth spoiled by deep stains, fractures or odd shape, veneers strengthen and beautify enamel in a lasting way. Teeth must be free of decay and gum disease to receive veneers. Typically, they last for 10 years or more with good at-home and in-office care. Tooth-colored restorations, such as white fillings, porcelain crowns, inlays and onlays, treat tooth decay and tooth fracture with a material that’s strong, tooth-colored and bonded right to enamel. Gone are the days where patients had dark silver fillings or dark lines at the base of their crowns. These beautiful restorations benefit oral health and beautify, too. They are made using information from the innovative Carestream CS 3500 Intraoral Scanner. That means no messy oral impressions, but instead, an almost instant three-dimensional view of the mouth for restorations that look, fit and bite accurately with little or no adjustment. 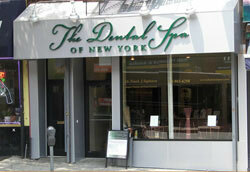 Contact The Dental Spa of New York for your complimentary cosmetic dentistry consultation. You can even send a digital headshot to Dr. Sapienza for a free preview of your new smile. Call the office today for details.